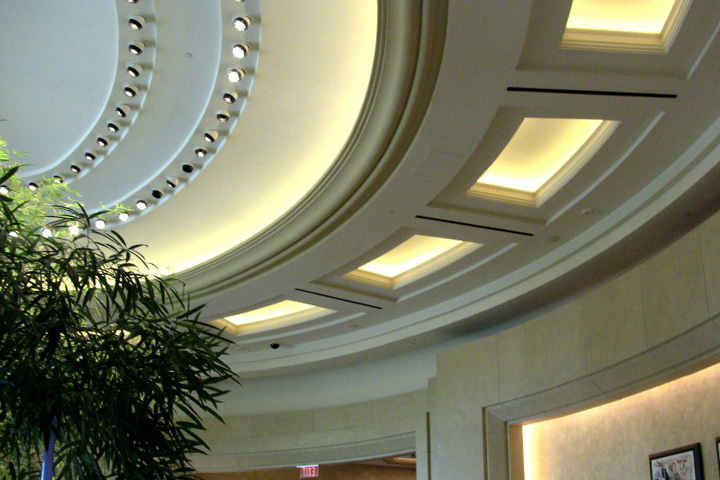 J. Gibson McIlvain specializes in creating a wide variety of architectural millwork. Because we have a fully functional in-house millworks operation, we have full control over the level of quality millwork we offer. In addition to those designs in our current catalog, we can also work from any drawing or blueprint you provide, either matching a historic reproduction or creating an innovative new design. Whatever the design, though, there’s a key word that applies to any of the millwork that we run: quality. When it comes to millwork, starting with top-quality lumber is only a small part of the equation. Don’t get us wrong: you do need to start with choice lumber. But even the most pristine board can become very low-end moulding if quality cuts aren’t made. Creating quality millwork requires a lot of precision and coordination of board support, feed rate, and blades, in order to avoid unsightly tool marks and lines to distract from the natural beauty of the wood. The Architectural Woodwork Institute (AWI) has a set of standards required for certification; the most significant standard has to do with knife marks. The current number of allowable knife marks per inch is 22. 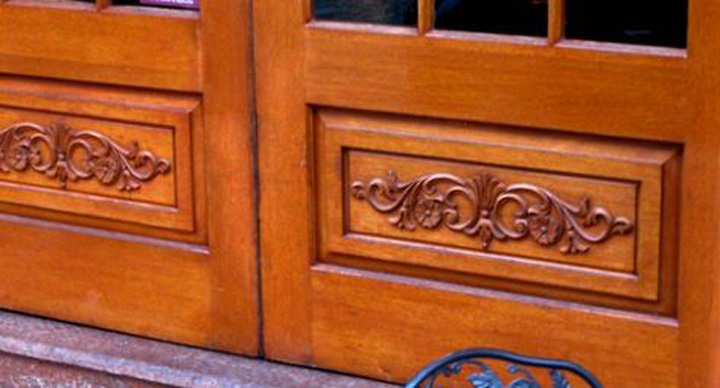 These tiny lines seen in casements and moulding are considered flaws, so the expert millwork operators here at J. Gibson McIlvain get pretty obsessive about avoiding them entirely; while 22 meets AWI standards, it’s far from meeting ours. We start with thickness planers that typically leave between 13 and 15 knife marks per inch — clearly meeting the AWI standards. The board feels smooth and looks pretty good — until you apply a finish. Once a finish is applied, the knife marks become clearly visible. When the boards are installed and light reflects off them, the knife marks become even more obvious and unattractive. To us, that’s simply unacceptable. To reduce the occurrence of knife marks, we reset the machines and set them up according to the manufacturer’s directions. We might adjust the knife’s bevel angle, change the tracer’s height, and give the machine a little pep talk. After a variety of adjusting and tweaking each setting, we’re able to achieve a board on which you can’t count any knife marks — because there aren’t any there. When the board is finished and light reflects off its surface, there are no interruptions in the properly milled moulding we’ve created. And these adjustments aren’t a one-and-done thing, but a constant process of re-evaluating and re-adjusting tiny details as needed. But quality doesn’t stop with the settings on a planer; each moulding run will be carefully inspected throughout the entire process. Every detail is considered. 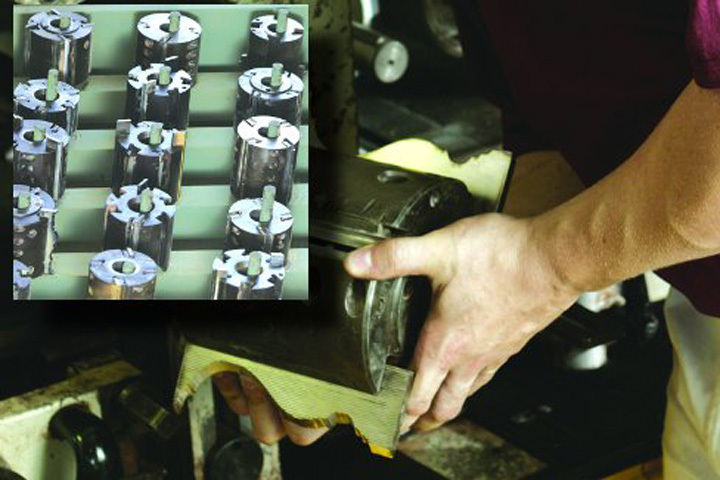 Knives are continually resharpened throughout the run. J. Gibson McIlvain takes great pride in the architectural millwork, custom panels, hardwood flooring, and mouldings that we run. 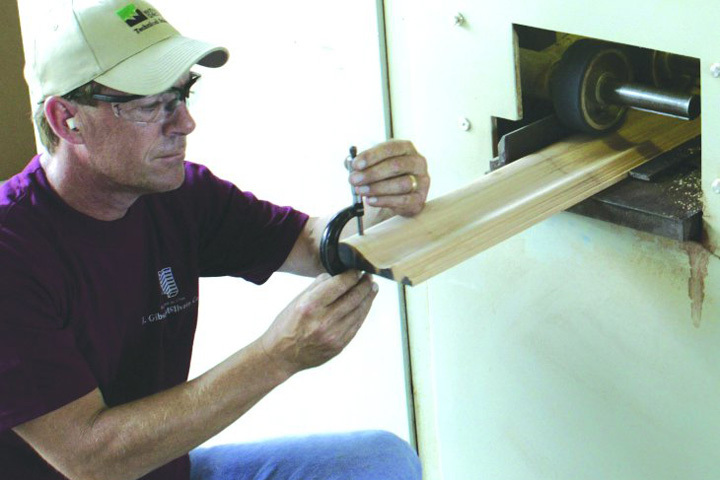 From inserting the moulding knife into the moulding head to priming and storing your millwork, J. Gibson McIlvain demonstrates a commitment to quality.